in a small bowl, add the bread and milk. allow the bread to soak up the milk. set aside. in another small bowl, combine the soy sauce, hoisin, sesame oil, garlic, ginger, scallions and egg. add the bread mixture and soy sauce mixture to the hamburger meat with salt/pepper to taste (i used about 2 teaspoons), and mix lightly until combined. form the mixture into 2 inch meatballs. place the meatballs on a cookie sheet lined with aluminum foil, and bake in the preheated oven for 20 - 25 minutes or until cooked through. while the meatballs are cooking, mix together the hoisin and lime juice in a bowl. set aside. 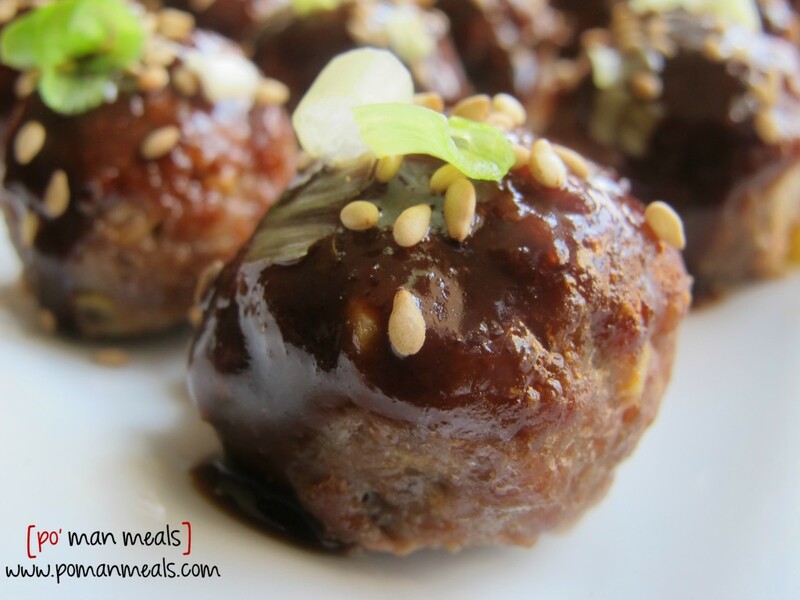 once the meatballs come out of the oven, brush on the hoisin glaze. garnish with scallions and sesame seeds. makes about 32 meatballs. perfect with my sesame snow pea and broccoli stir-fry. 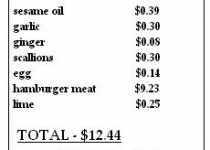 more than likely you will not pay $9 for 2 lbs of hamburger meat. but for some reason that was the price on peapod! I am a meatball fanatic! I love ’em whether they’re made with beef, pork, chicken, turkey, or even veggie, as long as they’re tasty. And these look just amazing! YUM!